Welcome to the stunning conclusion of the award-winning and best-selling MARCH trilogy. Congressman John Lewis, an American icon and one ofthe key figures of the civil rights movement, joins co-writer Andrew Aydin and artist Nate Powell to bring the lessons of history to vivid life for a new generation, urgently relevant for today's world. For all the ten years of her life, HÃ has only known Saigon: the thrills of its markets, the joy of its traditions, and the warmth of her friends close by. But now the Vietnam War has reached her home. HÃ and her family are forced to flee as Saigon falls, and they board a ship headed toward hope. In America, HÃ discovers the foreign world of Alabama: the coldness of its strangers, the dullness of its food . . . and the strength of her very own family. This moving story of one girl's year of change, dreams, grief, and healing received four starred reviews, including one from Kirkus which proclaimed it "enlightening, poignant, and unexpectedly funny." An author's note explains how and why Thanhha Lai translated her personal experiences into HÃ 's story. "When it comes to justice, there is no easy way to get it. You can't sugarcoat it. You have to take a stand and say, 'This is not right.'" - Claudette Colvin On March 2, 1955, an impassioned teenager, fed up with the daily injustices of Jim Crow segregation, refused to give her seat to a white woman on a segregated bus in Montgomery, Alabama. 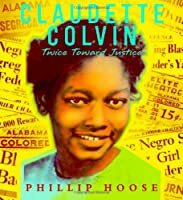 Instead of being celebrated as Rosa Parks would be just nine months later, fifteen-year-old Claudette Colvin found herself shunned by her classmates and dismissed by community leaders. Undaunted, a year later she dared to challenge segregation again as a key plaintiff in Browder v. Gayle, the landmark case that struck down the segregation laws of Montgomery and swept away the legal underpinnings of the Jim Crow South. A gothic tale becomes all too shockingly real in this mesmerizing magnum opus by the acclaimed author of FEED.It sounds like a fairy tale. He is a boy dressed in silks and white wigs and given the finest of classical educations. Raised by a group of rational philosophers known only by numbers, the boy and his mother - a princess in exile from a faraway land - are the only persons in their household assigned names. As the boy's regal mother, Cassiopeia, entertains the house scholars with her beauty and wit, young Octavian begins to question the purpose behind his guardians' fanatical studies. Only after he dares to open a forbidden door does he learn the hideous nature of their experiments - and his own chilling role in them. Set against the disquiet of Revolutionary Boston, M.
The icy-hearted Mrs. Tifton is not as pleased with the Penderwicks as Jeffrey is, though, and warns the new friends to stay out of trouble. Which, of course, they will - won't they? One thing's for sure: it will be a summer the Penderwicks will never forget. "I refuse to speak further of the Ten-legged One...but the more I think about it, the more I like it. Why mess around with Catholicism when you can have your own customized religion? All you need is a disciple or two...and a god." Fed up with his parents' boring old religion, agnostic-going-on-atheist Jason Bock invents a new god -- the town's water tower. He recruits an unlikely group of worshippers: his snail-farming best friend, Shin, cute-as-a-button (whatever that means) Magda Price, and the violent and unpredictable Henry Stagg. As their religion grows, it takes on a life of its own. While Jason struggles to keep the faith pure, Shin obsesses over writing their bible, and the explosive Henry schemes to make the new faith even more exciting -- and dangerous. In a future where humans despise clones, Matt enjoys special status as the young clone of El PatroÌn, the 142-year-old leader of a corrupt drug empire nestled between Mexico and the United States--ReÌsumeÌ de l'eÌditeur.